With more than a thousand constituents at trace level concentrations, exhaled breath analysis (EBA) allows for non-invasive point-of-care (POC) disease diagnostics and metabolic status monitoring in or close to real-time. A number of biomarkers in breath may be used to not only identify diseases and disease progression but also to monitor therapeutic interventions. Although the relationship of selected breath components/biomarkers with certain disease pathologies is well established, diagnosing the exhaled breath composition remains an analytical and practical challenge due to the concentration levels of molecules of interest, i.e., low parts-per-billion (ppb) regime and below. Besides the analytical assessment of breath components via conventional methods such as gas chromatography coupled to mass spectrometry and related techniques, the application of cascade laser spectroscopy (CLS) is relatively new and exhibits several advantages when aiming for compact and user-friendly trace gas sensors with high molecular selectivity, the required sensitivity, and potentially reasonable instrumental costs. 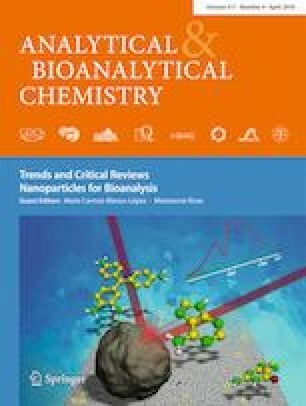 This trend article highlights the current status and potential of CLS in breath diagnostics with a focus on recent advancements in instrumentation and application along with future prospects and challenges. Cascade laser technology in the mid-infrared spectral range enables sensitive and molecularly selective exhaled breath analysis with near real-time response, label-free detection, and point-of-care feasibility. The authors acknowledge the outstanding collaboration with the team of P. Radermacher at the Institute of Anesthesiologic Pathophysiology and Method Development at the Ulm University Medical Center. Partial support of their research by the project APOSEMA (German BMBF within the M-Era.net program), the EC H2020 Program H2020-MSCA-RISE-2014, Grant Agreement No. 645758 (“TROPSENSE”), and the Graduate School PULMOSENS at Ulm University (GRK 2203) by the Deutsche Forschungsgemeinschaft (DFG) is greatly acknowledged. 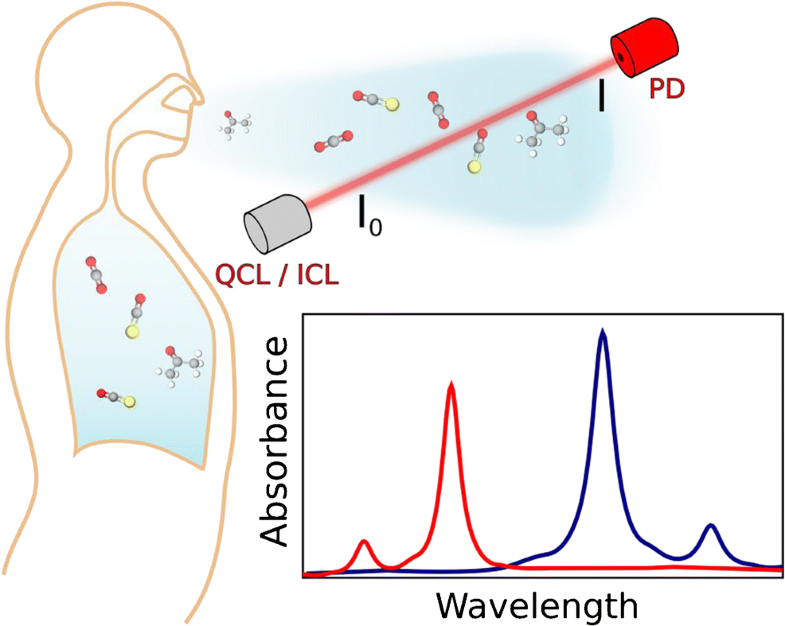 Stacewicz T, Bielecki Z, Wojtas J, Magryta P, Mikolajczyk J, Szabra D. Detection of disease markers in human breath with laser absorption spectroscopy. Opto-Electron Rev. 2016;24. https://doi.org/10.1515/oere-2016-0011. Pakmanesh N, Cristescu SM, Ghorbanzadeh A, Harren FJM, Mandon J. Quantum cascade laser-based sensors for the detection of exhaled carbon monoxide. Appl Phys B. 2016;122. https://doi.org/10.1007/s00340-015-6294-7. Tütüncü E, Naegele M, Becker S, Fischer M, Koeth J, Wolf C, et al. Advanced photonic sensors based on interband cascade lasers for real-time mouse breath analysis. ACS Sensors. 2018. https://doi.org/10.1021/acssensors.8b00477. Faist J, Villares G, Scalari G, Rösch M, Bonzon C, Hugi A, et al. Quantum cascade laser frequency combs. Nanophotonics. 2016;5. https://doi.org/10.1515/nanoph-2016-0015.